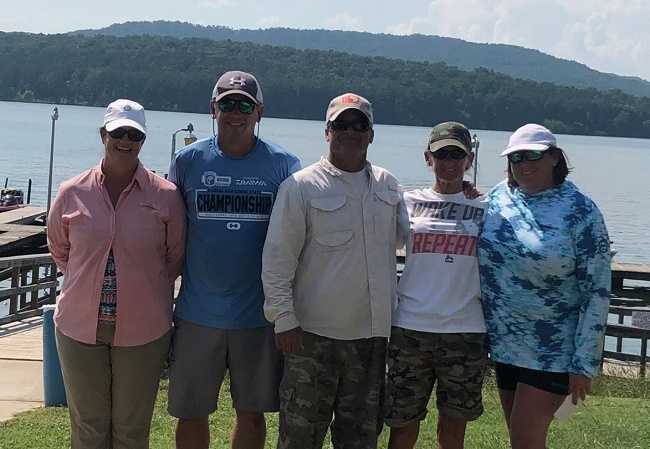 Butch Yarbough and Kathy Lerma of Harvest, Alabama won the final Alabama North Couple event held on Lake Guntersville the 11th of August 2018. This couple brought in five-fish weighing 18.21 pounds. Butch also won the Men’s Big Bass pot with his 6.98-pound lunker. Butch shared that they had many blowups and numerous keepers. Four teams competed in this very tough and hot event with three of them finding limits. The lake has been very stingy as the summer has lingered on. Ken and Pam Draskovic from Scottsboro, Alabama won the Alabama North Couple event held on Lake Guntersville the 21d of July 2018 with 12.97 pounds of bass. Ken also won Men’s big pot for his 4.11 lb largemouth. Michelle Norrod won Ladies big fish honors with her 3.11 lb bass. Second place team Mike Garlen and Rhonda Ford brought in a limit weighing 9.97 lbs. Rickey and Laurie Ramey weighed in three fish weighing 7.82 lbs. Austin Daniels and Michelle Norrod also brought in 3 fish which weighed 6.97 lbs. 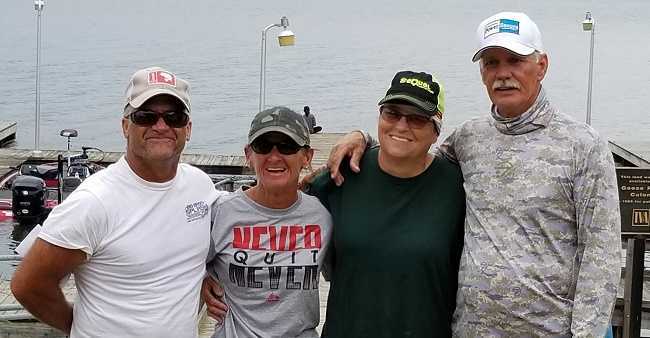 The weatherman kept many teams from trying their luck this past Saturday, but after a short delay to allow the stormy weather to pass four teams blasted off for a day of challenging fishing. The Draskovic’s trolling motor fell off during the takeoff, but after a little work they were back underway. Pam landed two fish before lunch, and Ken shared he caught five fish on back to back casts up in the day and then never got another bite. 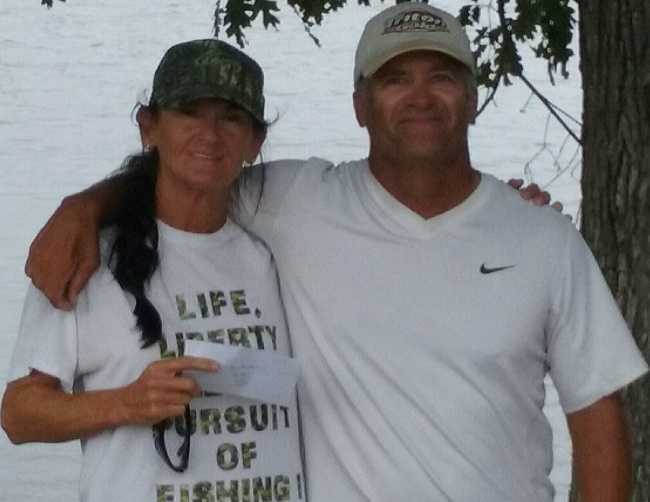 Jack and LaVonda Napier from Decatur Alabama won the Alabama North Couple event on Lake Guntersville the 16th of June 2018. They Landed 20.66 pounds of bass for the win. Jack also reeled in the big bass pot with his 5.37 lb largemouth. Seven teams competed with four teams catching limits. The weather was a factor. The heat index was 102 degrees. Second place with a limit weighing 15.32 pounds was team Draskovic. 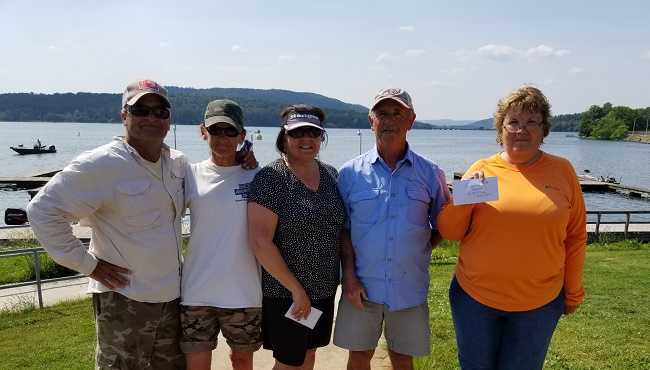 Ken and Pam from Scottsboro, Alabama won the Couples Tour Alabama North event held Saturday May 12th, 2018 on Lake Guntersville. 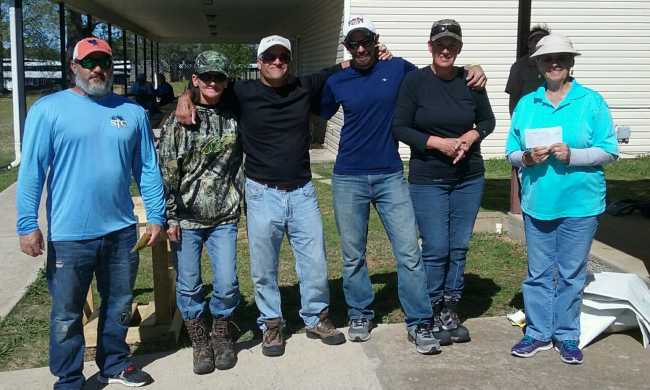 Seven teams competed, and every team caught a five fish limit. The Draskovics weighed in 14.52 lbs for the win. Scott and Marylin Dalton claimed second place with a limit weighing 13.18 pounds. Scott claimed a defective new net resulted in a lost fish that would have helped their cause. Ladies Big bass pot was won by Joyce Cooper with a 2.66 lb largemouth. Ken won the men’s big bass with his 3.66 pounder. 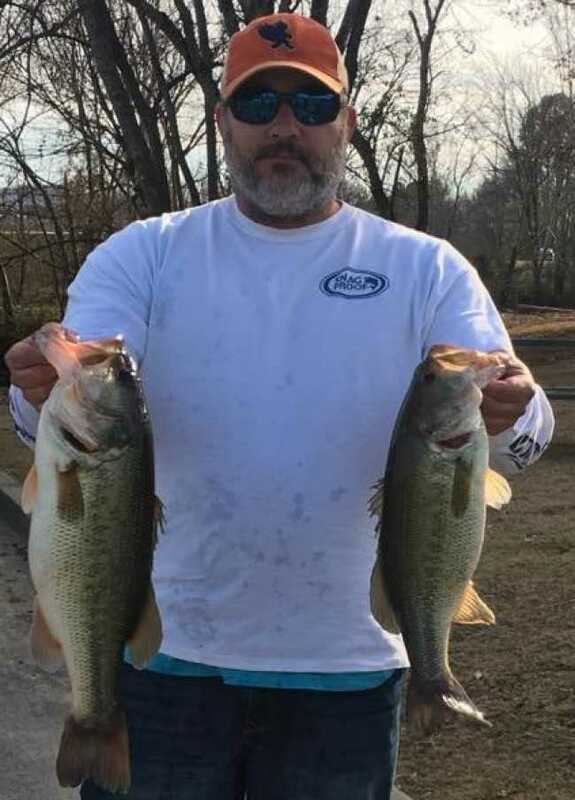 Bass were caught using Swimbaits, Crankbaits and Texas rigged creature Baits. The temperature soared up to 91 degrees. Mike Garlen and Rhonda Ford won the Couples Tour Alabama North event held on Lake Guntersville Saturday, March 10th. Eight teams competed on this windy, cold and rainy Alabama day. Mike and Rhonda brought 5 bass to the scales weighing 16.51 lbs. Ken and Pam Draskovic finished second with 16.21 lbs. Ladies Big bass pot was won by DeAnna Lovvorn with a 3.00 lb largemouth. Ken won the men’s big bass with his 5.31 pounder. Marilyn and Scott Dalton Win Again! 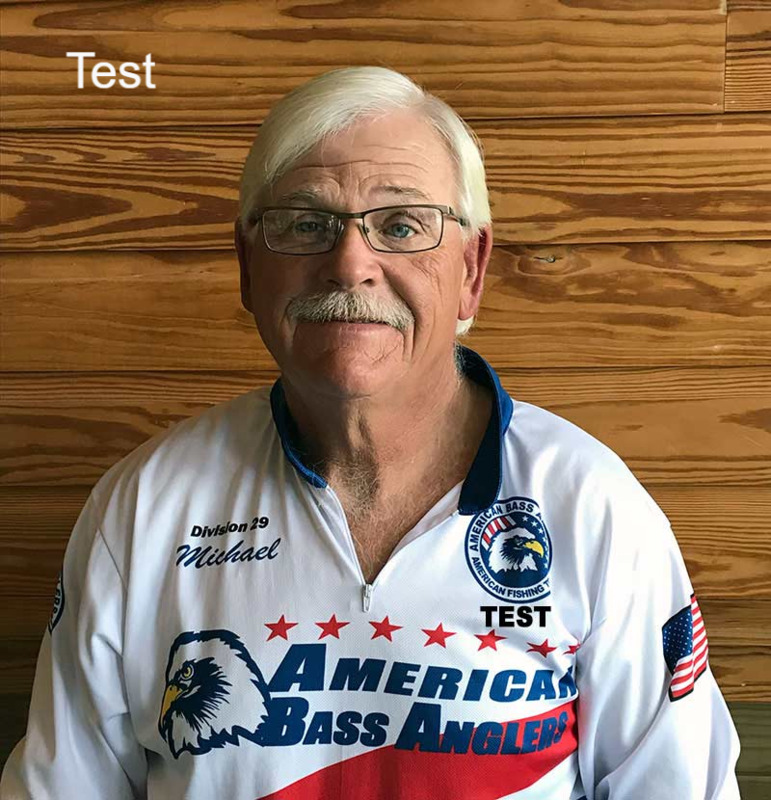 Marilyn and Scott Dalton from Jasper, TN won their second Lake Guntersville ABA Couples event this past Saturday with a stringer weighing 16.54lbs. Marilyn fought the oppressive heat and managed to catch their two biggest fish of the day dragging plastics behind the boat. She secured Ladies big bass honors with a 4.85lbs beauty. Marilyn and Scott Dalton from Jasper Tn, bagged 16.00 lbs and Ladies Big fish of 4.17 lbs on their way to winning the Lake Guntersville Couples tournament this past weekend. James Bean from Weaver, AL had to fish by himself during the Alabama North Couples Tour event held on Lake Guntersville April 8th,2017. Fishing alone and having his trolling motor quit on him mid-day didn’t keep James from victory. James and Laura Bean of Weaver, Alabama captured the win for this weekends ABA Couples event on Neely Henry held on February 4th. 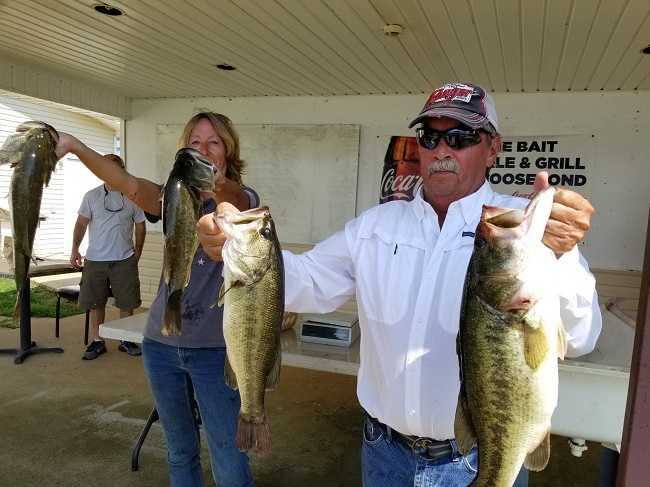 The couple won with a 15.07 pound mixed bag of both Largemouth and Spotted Bass. They made a long run downriver to fish for largemouth early, but couldn`t resist chasing Spots he had found earlier in the week. James also had men`s big bass with a 5.33 largemouth. 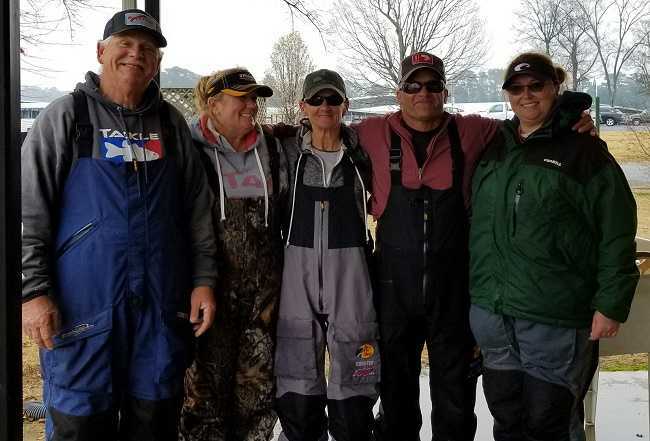 Mike Garlen of Athens, Alabama and Rhonda Ford of Cave Spring, Georgia won the December 3rd Couples event on Lake Guntersville this past Saturday. They did a clean sweep of Ladies’ and Mens’ Big Bass pots on their way to the victory. Their five bass limit weighed 13.71 pounds. Mike’s Big Bass weighed 3.20 pounds and Rhonda’s weighed 3.13 pounds. Winning strategy for Mike and Rhonda was throwing small Crankbaits. 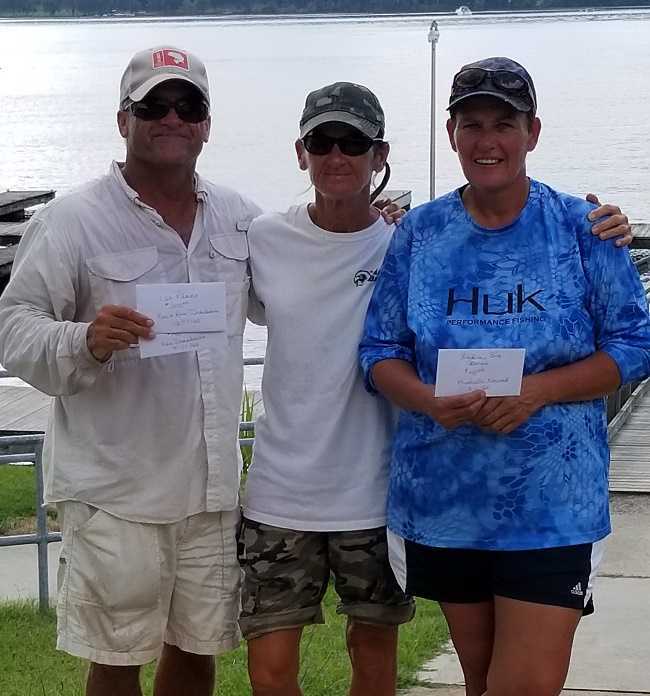 Pam and Ken Draskovic from Scottsboro, Alabama topped the field in the Alabama North Couples Tour season opening event held on Lake Guntersville this past Saturday, September 17th. Their total weight of 12.76 pounds locked in the victory. 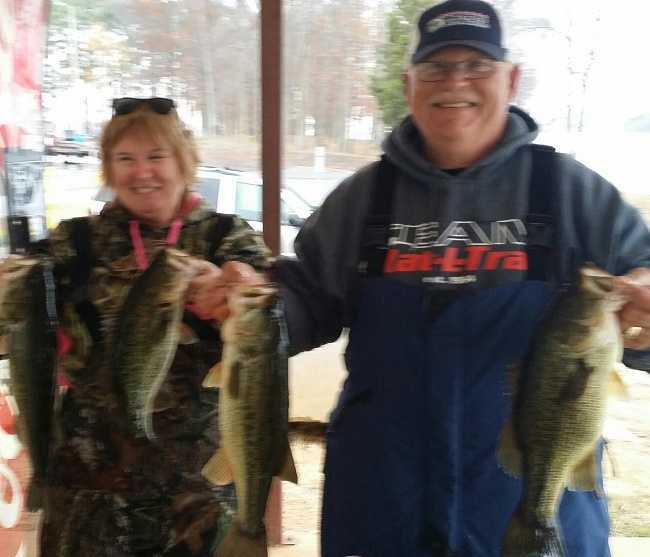 Pam won ladies Big Bass with a 2.21 pound fish while Ken received men’s Big Bass honors with a 3.31 pound largemouth. 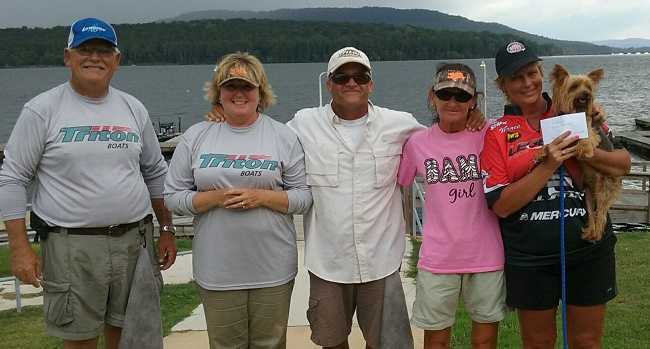 Lake Guntersville has been very tough to fish lately and this tournament was no exception. The Draskovic's were the only team to weigh in a limit. Their success was credited to the use of frogs and topwater lures. 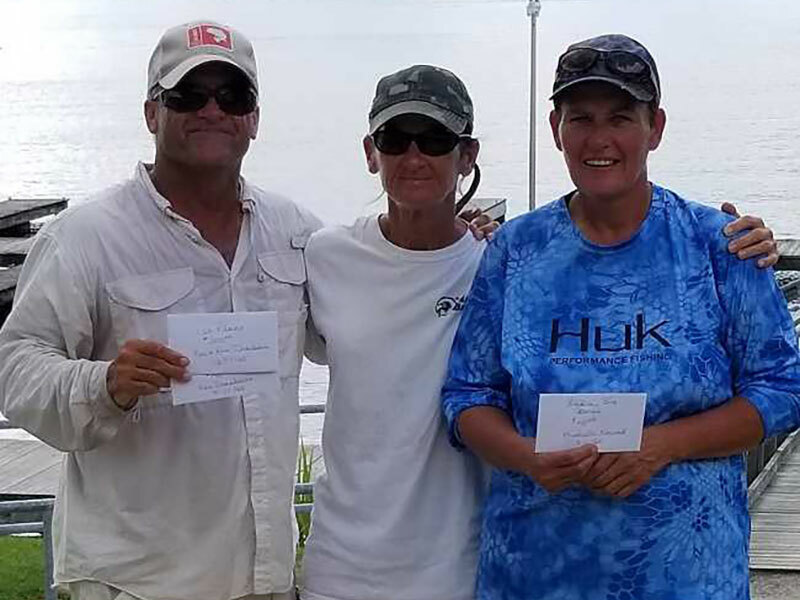 Rhonda Ford of Rome, Georgia and Mike Garlen of Athens, Alabama won the final Alabama North Couples Trail event held on Lake Guntersville this past weekend, on August 20th. They landed 13.97 pounds of fish with Mike winning men’s Big Bass pot with a 4.63 pound largemouth.